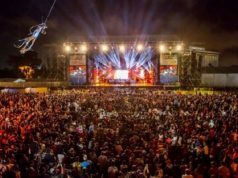 Rabat- The Greek duo Katerina Fotinaki and Eva Atmatzidou delivered a graceful performance on Friday, the eighth day of Mawazine Festival Rhythms of the World. Their fusion of ancient and modern Greek music found an echo in Rabat’s fascinating archaeological landmark, Chellah. Surrounded by Rabat’s Chellah, a walled fort of Roman ruins and gentle gardens, listening to the silky voices and Greek guitar playing of Fotinaki and Atmatzidou was a charming experience on Friday evening. 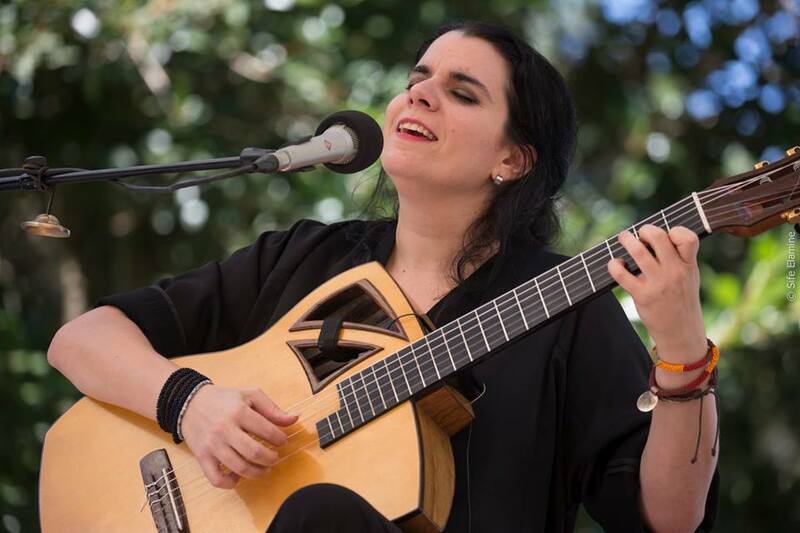 Performing for the first time together, Fotinaki and Atmatzidou’s bright sense of humour and warm emotions enabled them to connect immediately with their Moroccan audience. 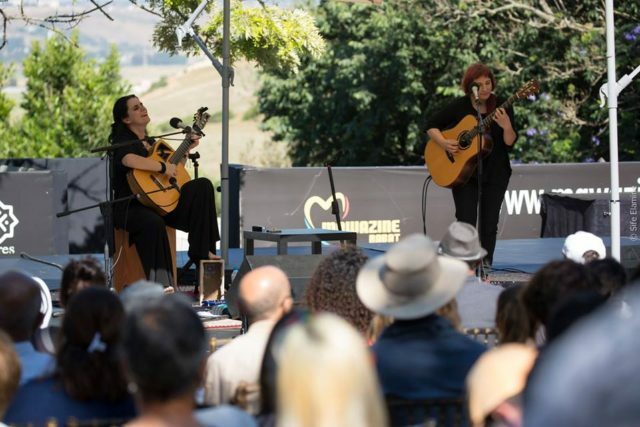 With Fotinaki living in France and Atmatzdou in Greece, they finally got to perform for the first time as a duo. 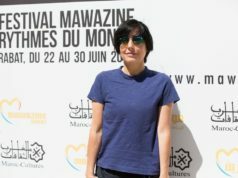 “It is thanks to [Mawazine] festival that Eva and I got to perform together,” said Fotinaki. Before introducing each song, Fotinaki briefly explained in French what the Greek lyrics meant. The duo began with a song about “liberty and revolution.” The guitar melodies merging with their serene vocals gave off a feeling of peace and serenity. Afterwards, the singers dedicated a song to Morocco, expressing how they see and feel about the country. Later, Fotinaki sang a Greek-Turkish folk song about mourning love, and Atmatzidou delivered a solo guitar performance, garnering the audience’s applause. Fotinaki and Atmatzidou said they were immensely joyful to have performed together in Morocco, and sang one last song requested by one of their fans. Katerina Fotinaki who performed in Mawazine 2015 with her trio band “Tzitzikia” found her way back to the festival in its 17th year. Fotinaki is an author, singer, composer and guitarist. 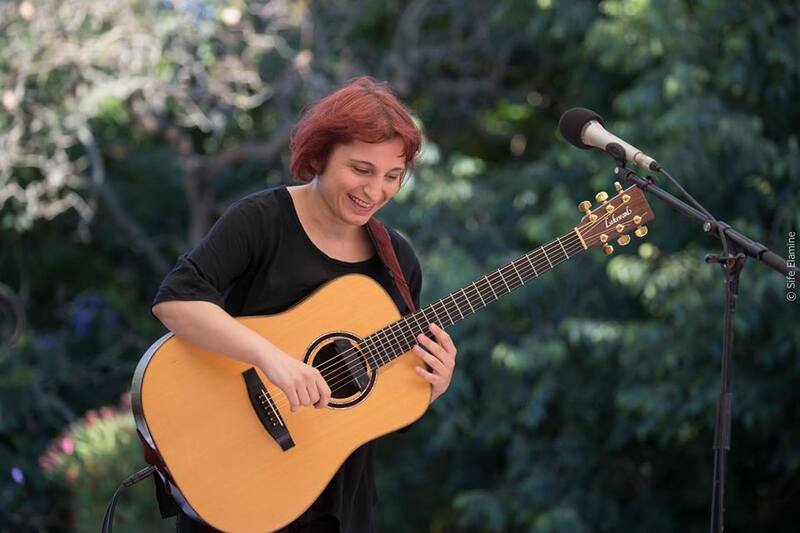 In addition to her distinguished guitar style, she plays harmonica, bouzouki and mandolin. Fotinaki grew up in Greece before she moved to France in 2006, where her songs have been greatly acclaimed by French critics. Atmatzidou studied jazz guitar improvisation and modern singing, as well as art history.